I spend well more than 12 hours a day on the internet, blogging, emailing, paying bills, connecting with friends and family through social media, shopping.. And speaking of shopping, I don’t even want to think about how many shopping sites have my credit card info, and how often this leaves me exposed to threats. I do nearly all of my shopping on line these days, even for groceries! As a girl who loves fashion, living in a small town just doesn’t cut it for having the newest trends. I HAVE to shop online! But I’ve been exposed there too. I’ve had my credit card info taken one time and ended up being someone XM radio in Texas for the year. Luckily Wells Fargo didn’t hold me liable for the fraud, but it’s still sickening and disheartening when it happens. A few years back, I also got a random email from Walmart saying my purchase for my new stereo didn’t go through because my card had expired. I was like, What the?! I haven’t purchased anything from Walmart online in years and I sure as hell was not shopping for a stereo! I logged on, and sure enough, someone had managed to get into my account and had tried to make a purchase with my credit card for a new stereo system, but lucky for me, since I hadn’t shopped Walmart in awhile, my new credit card info hadn’t been updated. Even then, I still thought, “holy crap, this password is my password for nearly every retail site online, and this hacker managed to figure it out and tried to make a purchase on my account!” This is another thing I love about Security Master Antivirus, is that you can combine it with virtual locations shopping, so you’re safe and protected anytime you shop or make a purchase online! You won’t be exposed to hackers and you’re information will remain safe, protected, and private – just how it should be. Even as I write this, I’m sitting in a hotel at the pool, and the wifi here has no password. A little sketchy knowing anyone at all can log into this wifi system whether you’re a registered guest here or not. In fact, Unsecured WiFi Connection Exposes Devices to Data Loss and Manipulation and More than 50% of mobile devices connect to unsecured Wi-Fi each month. For me, I know it’s a lot more often than that! 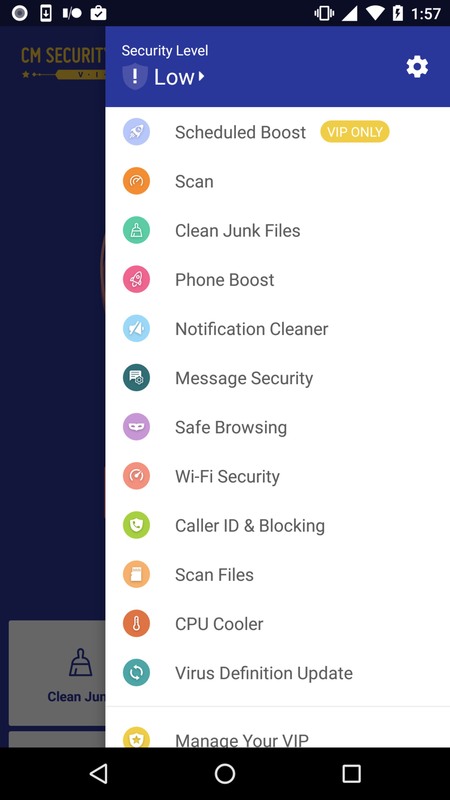 Security Master AntiVirus (Previously known as CM Security Master Antivirus) is an App for Android, designed to be an Indispensable product to ensure mobile security and user privacy in real time. It is Available in 27 Languages in 210 countries, and it’s already had over 100 million Installations! 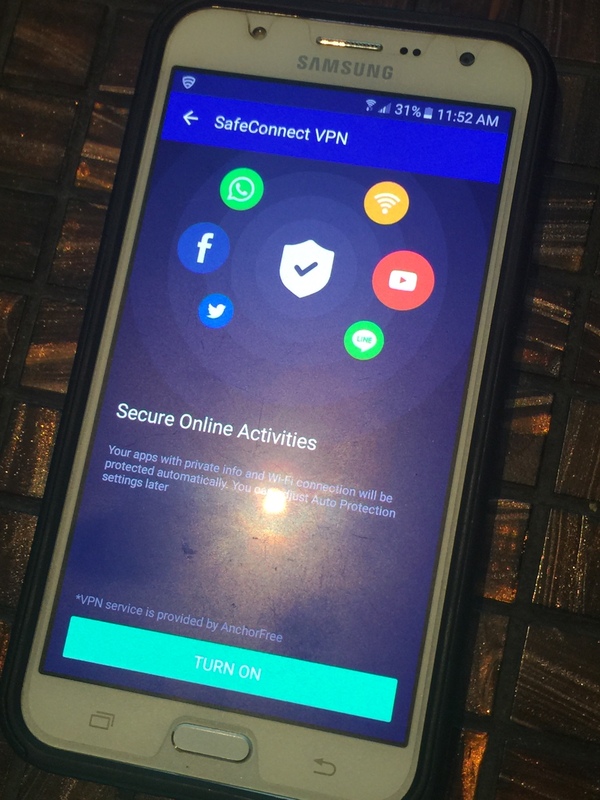 It’s new SafeConnect Provides a triangle of privacy protection for app usage, WiFi connection, and web browsing as well as Adds a layer of protection and encrypts users’ data with advanced VPN (virtual pirate network) technology to prevent privacy leakage. 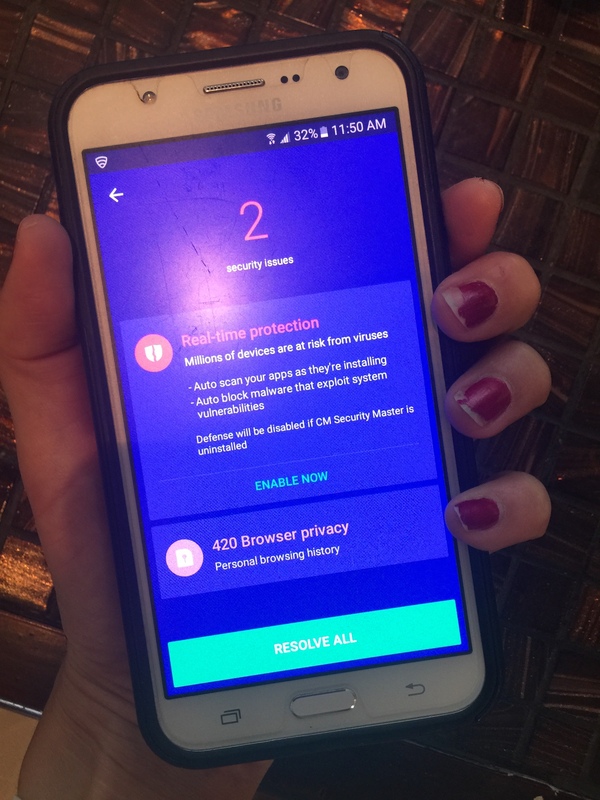 If you haven’t heard of or used a VPN, it is an extra level of security to help protect you when shopping online, by keeping your credit card info save and out of the hands of hackers! I even have a VPN installed on my TV box for added protection while watching movies and TV shows online. 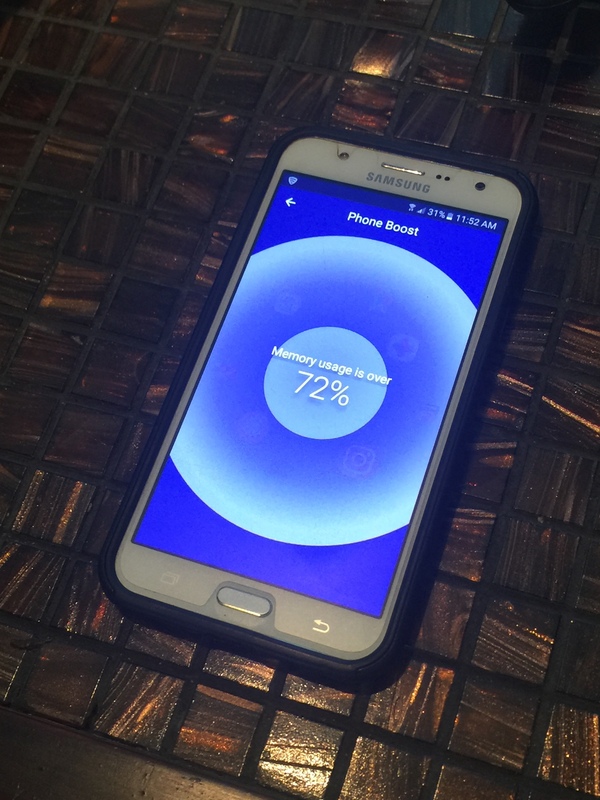 This awesome app protects you in the same way, when using your cell phone to watch movies or TV shows online. It also Conducts a live diagnosis and intelligently recommends users adequate solutions for device optimization and the New UI brings user experience to the next level with a feeling of “ dynamic, real-time protection” and easy navigation, by using it’s awesome Smart Assistant Feature, your device will be enhanced to run even more efficienlty! Emotional connections and conversation with users are bridged with the smart assistant. 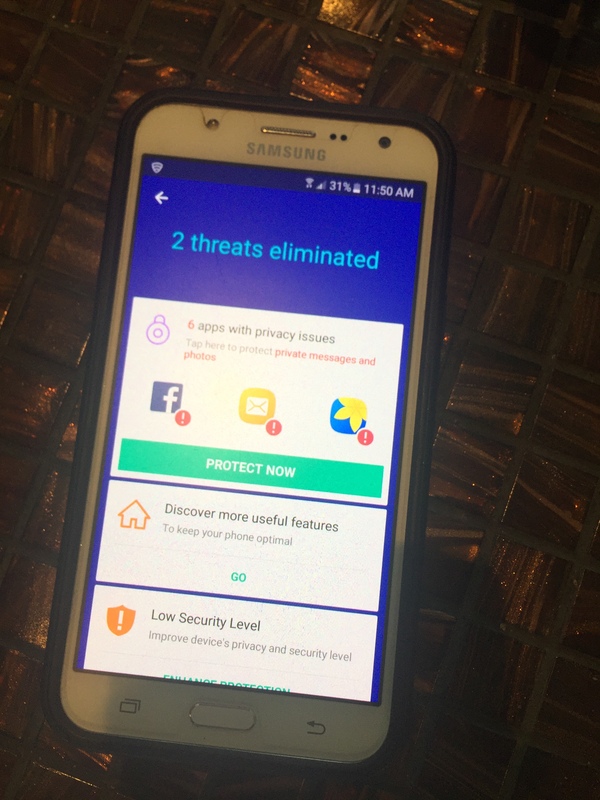 After running this daily, I’m always shocked to see how many threats are coming into my phone that Security Master AntiVirus successfully eliminates, giving me peace of mind to keep up my daily online shopping, emailing, socializing, and blogging! 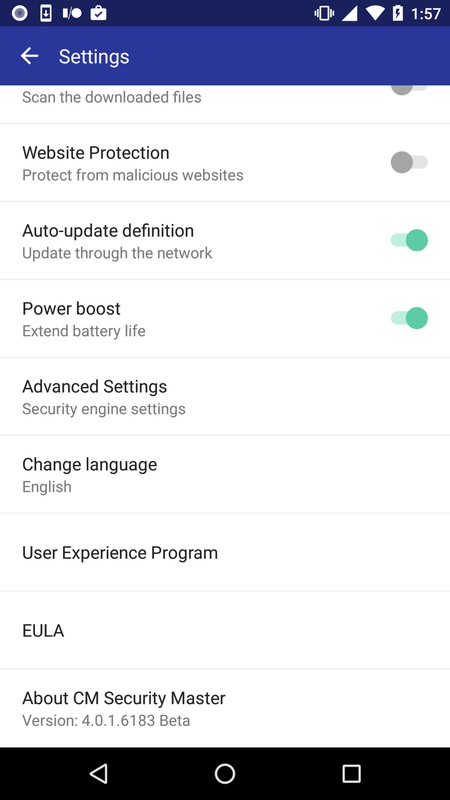 The phone boost is my favorite feature! 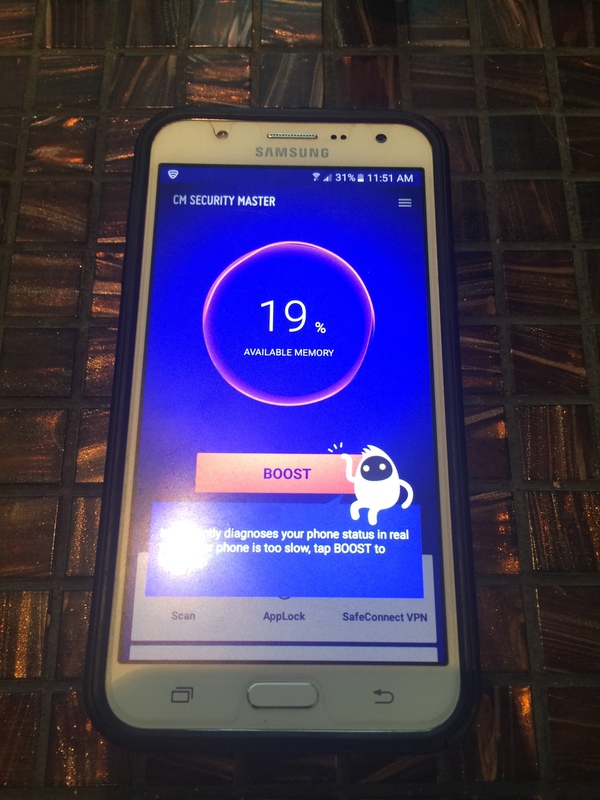 I love that my phone runs so much faster and more efficiently after giving it a little boost every now and then with my Security Master Antivirus app. 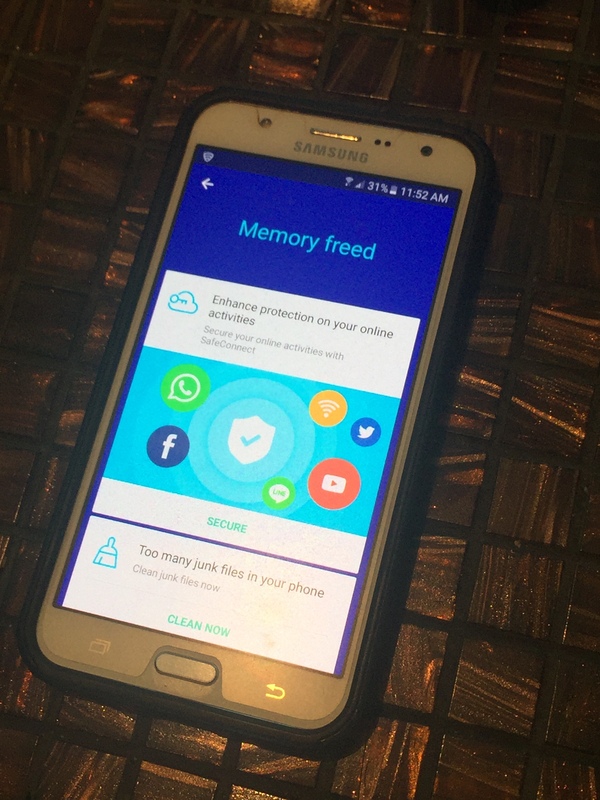 Also, the lovely people of Security Master Antivirus are letting me GIVEAWAY a few awesome products I found while shopping internationally in Taiwan, on my phone securely (and with peace of mind!) with their awesome APP! So you can get professional-Style Instagram photos at home! Check it out HERE! I like to do Instagram flatlays of makeup & beauty products and I’m always looking for a new creative way to change things up. This background paper is genius! I like making hair accessories and I photograph them before I give them to my granddaughters. I would love some nice backgrounds for them rather than the white card stock I use now. 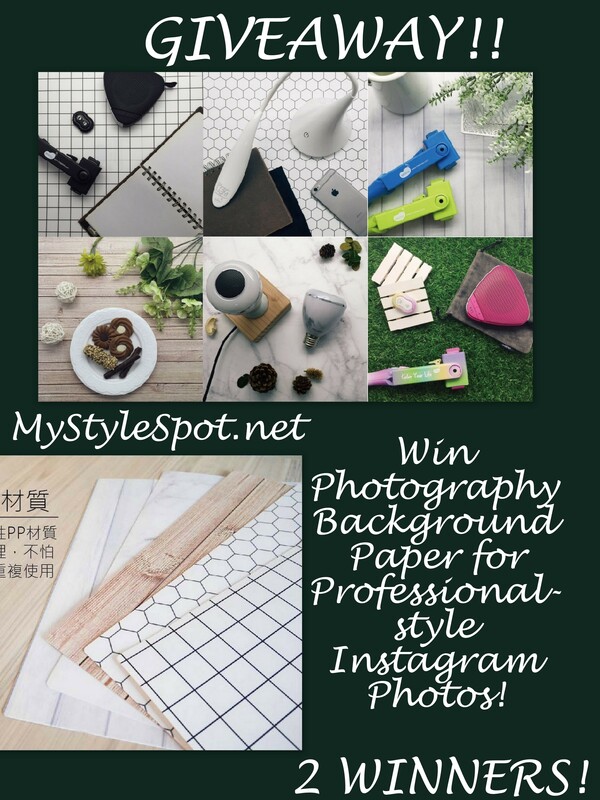 I’m a blogger, but still a new one, so I’d use there photography papers to make better photos for my IG and blog posts! I would use these for backgrounds for product photos to post on Instagram. I would use this to make my Instagram photos even better! I live I was actually telling my friends this week, but I need more background for my photos as I’m getting sick and tired of my countertops and my blue and red placemats. This would take my account to the next level. Please choose me @cherann3 on insta. Right?! Me too! I’m constantly on the lookout for some great photography backgrounds! I sell on Ebay so I would use this to take pictures of my products.